Through the ongoing colonization of Palestine, the United States and Israel have developed expertise in repression. Movements for social and environmental justice need to address the ways the Israeli government and U.S. Zionist foundations perpetrate violence and repression in Palestine as well as the ways they use these tools to police marginalized communities in the U.S. This presentation provides the evidence and argument for joint struggle between those working toward Palestinian self-determination and justice for communities and movements around the globe. 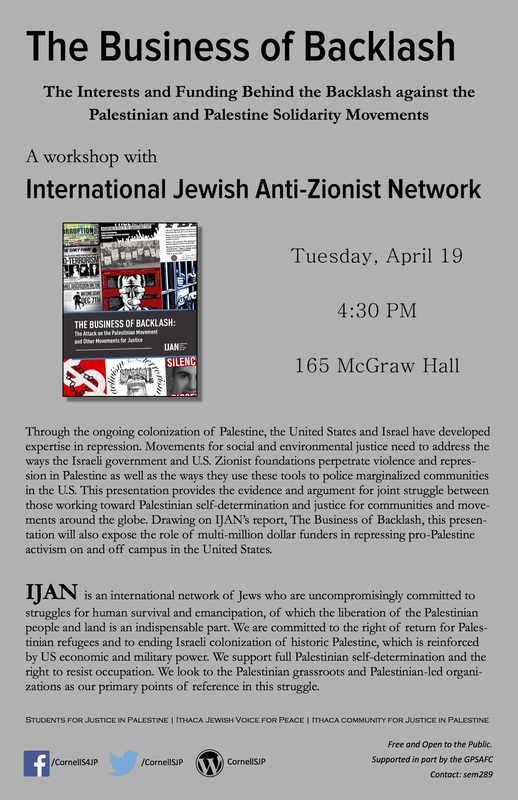 Drawing on IJAN’s report, The Business of Backlash, this presentation will also expose the role of multi-million dollar funders in repressing pro-Palestine activism on and off campus in the United States.